Bai Lu grew up in a mysterious prison, where he learnt many interesting abilities. Also, he had inherited godly cooking skills and possessed exceptional culinary talent. In a stroke of fate, he arrived in the capital city and opened a shop. Since then, the world has gained an unconventional restaurant, with an eccentric chef, and many odd things have happened. The Maverick Chef, Bai Lu. And what made it worst was the fact that most of those danger were often instigated. By directly or indirectly him helping or have taken advantaged of his so called "friends". F*ck the summary sypnosis! What odd thing!? 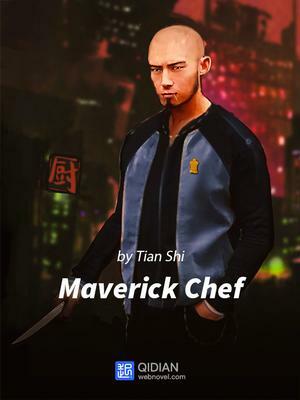 Novel is called "maverick CHEF". But almost all his cooking time was one liner and when the dude took his cooking seriously, author gave us summary. And author says dont be mad at the MC cause currently MC is doing another stupid errand. Novel is literally consist of inexhaustible unlimited errand. Its supposed to be a funny encounters, Once or twice errand every 10 to 20 chapter is ok, but more than that is tiring. He was forced to do almost everything but author disguised it as a voluntary work cause author says so.. And since the dude was a "chef" author just add it with a tiny tini bit spice of cooking (Ant size). Then *huala* we got Maverick Chef!! MC is such a pushover and always does useless things that you would start to wonder why its called maverick chef instead of odd ball errand boy. Entertaining at first but gets tiring earlier later..
With all that said, I only have one sentence to say..
Idk really on the reason on why this novel has the title "Maverick Chef" since it ain't focused at cooking or food at all. It was more like a typical xianxia or perhaps wuxia themed novel where the MC would be the focus of a lot of happenings from venturing to a lot of adventures, impressing his friends and female companions... oh and please don't forget those arrogant young masters that would always come knocking at his door. Um... It's pretty bad. It's basically the Cooking version of I'm Really a Superstar, but set in an unrealistic world with robotic side characters and utterly insane logic, plus the MC is naive as f**k. I don't know how it is, but it basically is a worse version of Gourmet Food Supplier in almost every single way, but instead of a cooking progression novel, is a Xianxia style novel. All while having a protag that nobody can stomach. It's terrible. The way it's written, the pacing, the characters. It feels like... more>> it was written by an author that has never stepped into a kitchen or eaten anything than cup ramen, who then tries to hype up food and cooking as well as the customer reactions. It's a modern-setting Xuanhuan/Xianxia but with only the worst parts of the genre showing through and none of the redeeming qualities. If you wanted a Xianxia/Xuanhuan cooking story that has this progression, more characters, but still pretty terrible understanding of cooking, try Kitchen Xiuzhen. If you wanted a true "Maverick Chef" that rights the food culture of a world, but actually has character and struggles, try Daddy Fantasy World Restaurant, which also gives you a lot of laughs. If you want an actual good cooking story that handles the characters and subject matter with respect, read God of Cooking. If you want similar terrible writing but a world that you can believe (moreso than this Novel's) try Gourmet Food Supplier *cringe*. On second thought, read Gourmet of Another World instead if you're good with the Xianxia elements, and The Urban Successor of God of Gluttony if you want a modern setting story.